Practicing a stall is frightening. I thought this, but I did not say it. “You have to know what to do in an emergency,” Larry, my flight instructor said, as if reading my mind. “If your stall turns into a spin, remember, full throttle, full right rudder, punch down on the stick.” I said it with him. I had said it in my car. I have said it in my sleep. “And, trust your instruments,” he added, in parting, just before I yelled “Clear” out the window of the Cessna 152 and turned the key. The engine, my new best friend, roared to life. I talked to the tower, my second best friend, and taxied to the advised runway. It was my third solo. It was 1979. I was twenty. Alone in the sky! California’s San Joaquin Valley stretched below me. I glimpsed Yosemite Lake to the east before turning west. I soared over Highway 99 leading south to Fresno and north to Castle AFB and Modesto. I aimed for the non-populated geometric shapes of agriculture and their genies of smoke. The rice fields were burning. It was a common practice at the time to burn the rice straw into the soil to prevent disease. On the ground, the smoke was overwhelming, smelly, and confusing. In the air, it gathered into neat ponytails as it climbed the sky and soon I soared high above the plumes. I got ready to practice a stall. I gripped the throttle and eased it toward me until the plane entered slow flight. The engine quieted and the plane struggled to stay aloft. I gripped the stick with both hands, (more of a small steering wheel), and tugged it toward my chest, to raise the nose, because the nose wanted to fall toward the ground. I sat tall. The plane and I felt unstable. I strained against my seat belt and watched my instruments. Technically, the plane was difficult to control at such a slow speed as I maintained a balance between pitch, power, aileron, and rudder inputs, instrument interpretation, flap management, and an eye outside. Altogether, it was more to remember than when taking a golf shot. But, just like golf, it came down to a feeling. When the needle of the airspeed indicator entered the stalling range, I felt the plane slip. I felt the weightlessness of a spin. I hung on as the altimeter spun out of control. My head hit the window. The view outside displayed a skewed horizon, then smoke. Amid the slow motion of gravity’s tug, I reached for the throttle. With an open palm I slammed it to the dashboard. The engine roared to life. I stomped my right foot on the rudder. I punched down on the stick and understood why Larry had deliberately used the word ‘punch’. It took all my strength, in a burst of speed, to knock it down, to keep it there, and to keep my foot on the rudder. It was a battle against speed and gravity and rational thought. As I plummeted to the ground, my mind argued for me to pull back on the stick to raise the nose. Luckily, my body knew to go against it, (Larry had said it plenty of times), and the rush of adrenaline gave me the unnatural strength to carry it out. I gradually felt the plane return to level flight. My instruments confirmed it. I initiated a climb through the pungent white smoke. I breathed a sigh of relief to return to my allowed elevation. I thought about what I may have done wrong during the stall to cause the spin. I realized how easily I could have flown into the ground. As I replayed the entire episode, I grew unaware of the present moment and my exact heading, and realized too late, the sky had socked in around me. Either the ponytails of smoke had come unfurled, or a sudden temperature inversion had caused a thick fog. 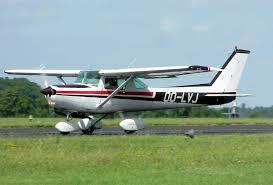 I was a VFR (visual) pilot caught in IFR (instrument) conditions. I could not see anything but white. I grabbed the mike and talked to the tower. My nearest runway was Castle Air Force Base, where my husband was stationed. I had flown out of Merced Muni, a few miles south, and now flew north into Castle’s air space. Merced Muni directed me to change my frequency to their tower. A frighteningly official, deep, male voice instantly spoke to me. He methodically fired off orders for me to land immediately at the AFB. I studied my instruments, adjusted speed and heading, and followed his rapid succession of instructions. When I verbally responded, I tried not to sound like a shrill, panicked woman. He talked me through my downwind leg, base, then final. I cut the power for landing. I floated below the fog and finally spied black asphalt and the broken white line. I almost cried because I could take it from here. I saw where to land. I gently touched down. The tower directed me to ground frequency and I taxied to a place of embarrassment and humiliation. For, truly I don’t remember what happened next. Neither does my husband, whose embarrassment would outlive mine because of the teasing from his fellow officers. I suppose we left the plane there, drove home, and Larry returned for it the next day, also embarrassed and humiliated because I was his student. I should not have entered the base’s air space. I should not have gotten caught in zero visibility. I did return to the sky many more times, but I never had another spin, nor did I ever perform another landing at an Air Force Base. I did have another IFR landing at the South Bend, Indiana airport, while VFR rated, during a lightning storm, with my husband, but that’s another story. 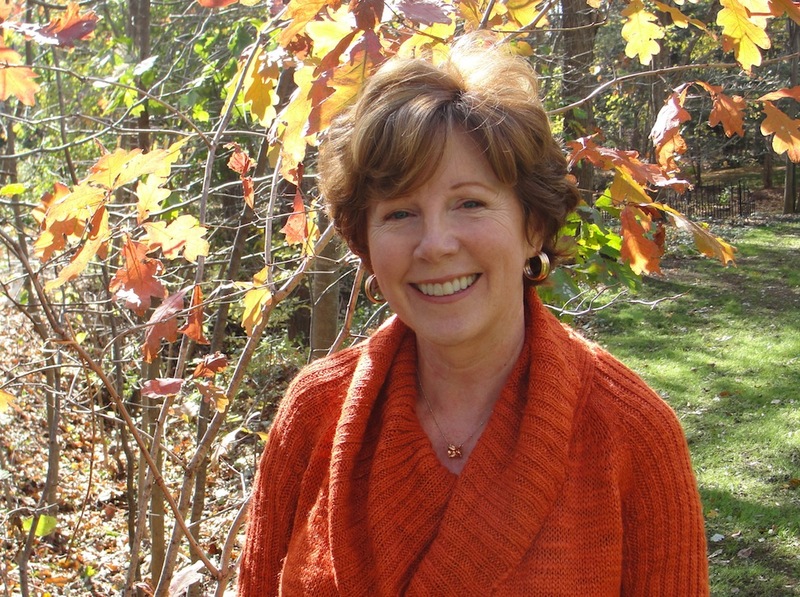 I’m Nancy S. Kyme, the author of “Memory Lake, the Forever Friendships of Summer” a 2012 Next Generation Award Winning memoir. 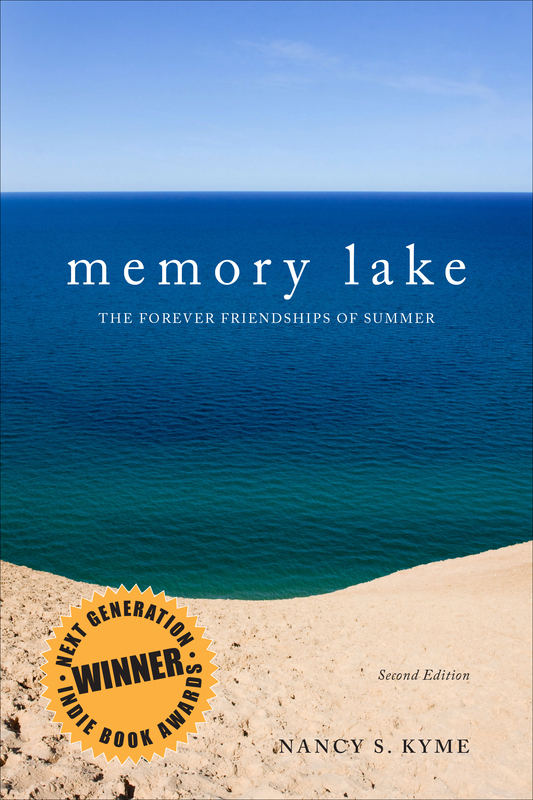 When childhood friends plan to meet at a camp reunion thirty years after their adventures together at summer camp, a fun, inspirational journey begins in which the reader is immersed into summer, youth, and the warmth of meaningful friendships. Present day challenges and past outdoor adventures are woven into an unforgettable tale of friends overcoming fear and grief through joy and laughter. The Ministry of Peculiar Occurrences, is the steampunk series I write with my husband, Tee Morris, and I hope it is as much fun to read as it was for us to write. In case you are wondering Steampunk is a form of science fiction set usually in Victorian England. Here’s a bit of a deeper explanation from our website. The Ministry is a department of Queen Victoria’s government that explores the strange, the unusual, and the bizarre that the police are not equipped to handle. It is also active all over the British Empire, so there are lots of stories from all over the world. The main characters that we first started writing are Eliza D Braun and Wellington Thornhill Books. Eliza is a secret agent from New Zealand, who because of some rather unfortunate incidents in the field, is demoted down to the archives of the Ministry. Wellington is the Chief Archivist with plenty of secrets of his own, but he seems—at least initially—to be rather stuffy and addicted to rules and regulations. Eliza soon discovers cold cases in the archives, and drags Wellington along with her to investigate. So far the series includes, anthologies, short stories, free podcasts, a roleplaying game (launching soon) and three novels. For something that started as a bit of a lark between Tee and I when I was living in New Zealand and he was here in Virginia, it has certainly gone far. It’s won lots of awards, and been a Locus Bestseller. 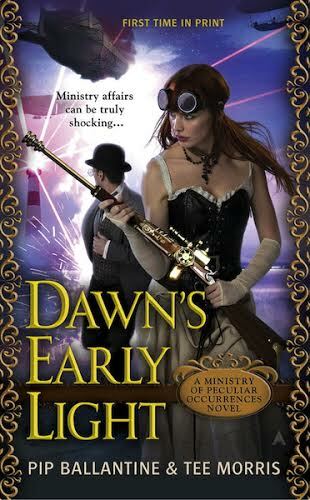 Book Three is By Dawn’s Early Light, and is coming out on March 25th. To give you a little taste, here is a sample of the very first chapter. Sophia del Morte is a deadly Italian assassin, who has quickly become one of the fan favorites. No Ministry book would be complete without a little of her. Dunes shift. Coastlines, under the elements, change. The sky is full of fleeting moods. So too the usually pretty face of Sophia del Morte, which was currently marred by a frown. She now stood on the sandbank, looking out to sea, her dark eyes underneath an equally dark hat scanning the horizon with eagle-like determination. This looked like the right place. From the inside of her corset she withdrew the detailed map of the Outer Banks that the Maestro had given her. These details included coordinates, something Sophia trusted. If she were off her mark by the smallest distance, things could go disastrously wrong. That he should place his own fate so securely in her hands made even this seasoned assassin quiver with delight. She had travelled by an exceedingly fast charter vessel, the Mercury. It was hardly comfortable compared to the Maestro’s massive airship, the Titan, but she had required speed above all. He had been most emphatic about where to be and at what time. Even with the swiftness of her charter, she’d arrived in Newport News, Virginia, only to immediately run from aeroport to train depot, catching the one train that could take her to some poor excuse of a town in North Carolina, then grabbing a coach—again, chartered by the Maestro—that whisked her to the edge of the eastern seaboard overnight. She was exhausted but still focused. An airship as huge as Titan would draw notice everywhere it went, no matter if the port was a major terminal or one barely used. Here, on this lonely strand of beach, there was no need to worry about being observed. Sophia could not wait for the reunion. Hope you enjoyed a little taste. Thanks to Dan for hosting it on his site. Don’t forget to check out Write by the Rails, which is full of a diverse range of amazing writers. You can find out more about the Ministry at our site, and me here. I’m pleased to offer a guest post from my multi-talented friend Linda Johnston. 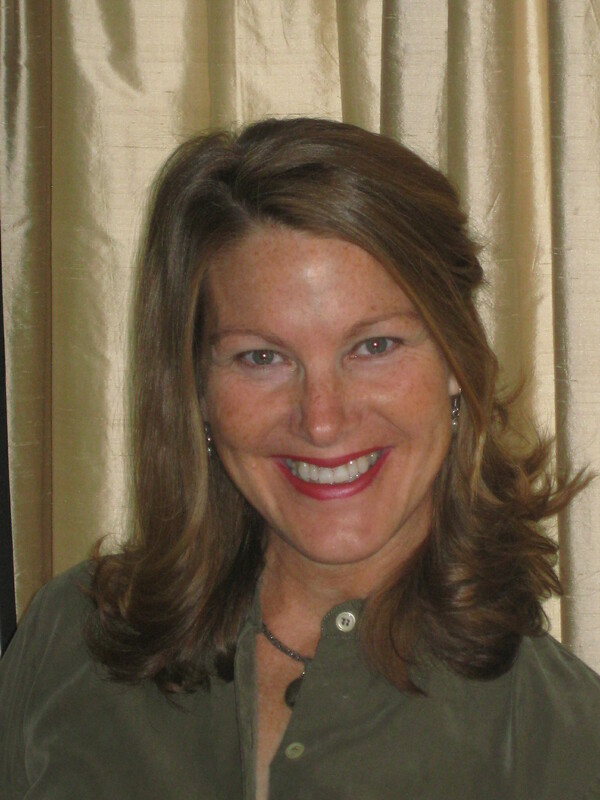 Don’t let her fool you–her writing is literary, touching, well-researched and insightful. I recommend her book highly. She has an uncommon touch for ordinary subjects and people that makes them extraordinary. I finished my blog post this morning at 12:30 a.m., then brushed my teeth and went to bed. It is now 1:39 a.m. and I am back at the computer after deciding that the original post, though a good story, is just too personal for the Internet. Since my writing mojo is waning, I have decided to try something different. Riding cross-country in the “way back” of our Studebaker station wagon, circa 1958, before seat belts. Dad’s military footlocker in the back full of things to keep us busy. My bear, Teddy Big Guy. Car sick – me. “Dad, pull over quick!” – my brother. Five hundred miles and several hours later – “Don’t make me pull this car over!” – my dad. Motels with metal, pastel-colored chairs with shell-shaped backs, out in front of the rooms. In 1963, the Plymouth sedan. Clear plastic embossed seat covers. After sitting in a hot car for a few hundred miles, had to peel ourselves off the back seat, our legs embossed for hours. Stuckey’s – Would we ever, ever, ever get to go inside and see an actual pecan log? Lots of time spent on Pennsylvania Turnpike. Counted tunnels. Chocolate ice cream – on cone entering the tunnel, on shirt and shorts exiting the tunnel. Off the road, out of the car at Grandmom’s house for one glorious week. The whole thing in reverse. My thanks to Dan Verner, my gracious host for allowing this post on his otherwise literary blog. From “Pip” Ballantine about becoming a writer. Pip and her husband Tee produce some terrific steam punk work. This April will make four years since I made the jump from full time corporate librarian into the world of full time writing. Even now, just writing those words makes my heart leap a little. It wasn’t an easy road, but it had reached the point where I had to make the choice to believe in myself or give up my dream entirely. I always wanted to write, though back when I was thirteen years old scribbling in a green notebook it seemed like an impossible dream that I could make my living at it. I was born and lived in New Zealand for most of my life, and although my country was full of creative people, back then there was not much of a market for writers. The only way to make real money at it was to sell to that huge market place half a world away, America. So I put my dreams on the backburner, and pursued my love of books in another direction, working in libraries. I loved it, but in the back of my head that itch to write was still there. I pushed that urge away for many years, until in 1997 when I had a chance to reorganize my life, and decided to see if I had a novel in me. So I pursued it as a hobby, but eventually got my first professional sale in 2002, and my first contract with Penguin’s fantasy imprint Ace for two books in 2009. Writing began to eat up more and more of my time, and I was lucky enough to have an understanding boss at the library who wanted me to spread my wings. So she let me go down to working only four days a week. A whole day of writing was total bliss to me, and I could hardly believe I was doing it. It really helped me get more done, and I found myself writing Friday to Sunday as the words poured out of me. I already had a two book deal, but they wanted more from me. With a dreadful but excited feeling I knew in the pit of my stomach that the time had come. I crunched the numbers, looked at what I was living on, and decided that I had enough savings to cushion the first few lean months. I told my friends and family that now was ‘the time for me to back myself.’ This put up or shut up moment—one that I had never seen coming—was finally here. I handed in my notice, and as my fellow librarians hugged me and wished me well, realized this wasn’t a dream…I was actually doing it. Only months after that, I signed a contract with my co-writer (one day soon to be my husband) for another two books series, that was the Ministry of Peculiar Occurrences. The Books of the Order ran four books, and the Ministry series is about to have the third book come out. Sometimes it still doesn’t seem real, and sometimes it is as frustrating as a regular corporate job, however it feels like what I was meant to do—and that is a very rare and precious thing to me. Thanks to Katherine for hosting it on his site. Don’t forget to check out Write by the Rails, which is full of a diverse range of amazing writers. You can find out more about the Ministry of Peculiar Occurrences at our site, and me here.